In 1992, after years of discussions, work began on transforming Museumplein, the city’s main cultural square, into a park-like setting by the Danish landscape architect Sven-Ingvar Andersson. A part of the transformation programme is the circular extension to the rear of the Van Gogh Museum designed by the Japanese architect Kisho Kurokawa. 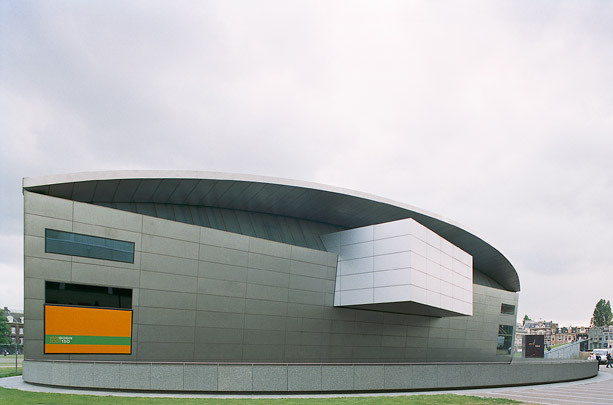 This partially sunken exhibition building has a cladding of stone and titanium. A sealed cube containing the print room juts from the west facade.